Low funding, strained patrols and officer turnover common among some Mon Valley police departments. 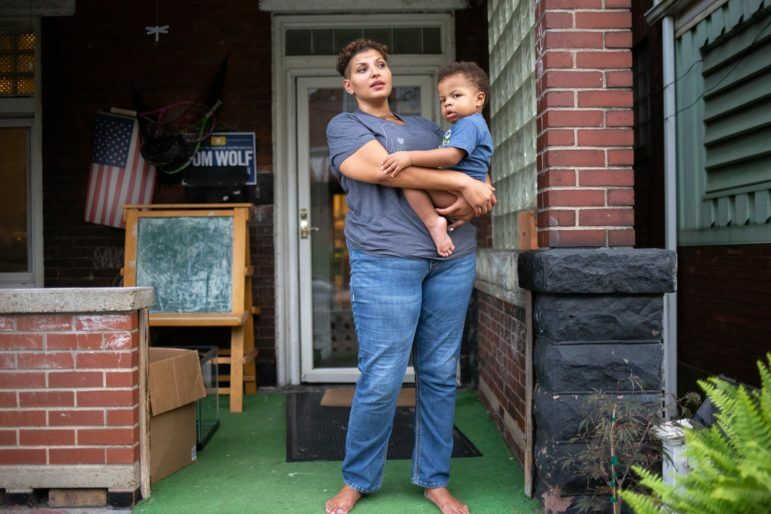 Will East Pittsburgh’s crisis spur change elsewhere? It takes only a short drive with Braddock’s acting police chief Guy Collins to witness the strange facts of life in the Mon Valley. Up ahead is Rankin, where police work the same grueling hours as Braddock officers for lower pay, scrambling to second or even third jobs, just to make ends meet. 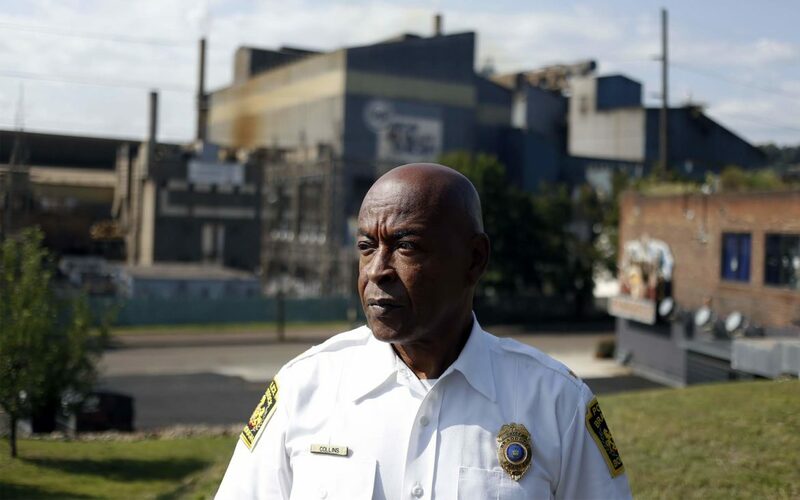 Cut through the other side, and there’s Swissvale, where officers work toward comfortable pensions, and even part-time rookies make nearly the hourly rate Collins gets as acting chief. Call it a quirk of geography, where fragmented boundaries mean driving a few blocks can put you in a vastly different tax base. Navigate to Swissvale, and pockets of wealth translate to steady funds for borough services. But here in Braddock, even a blossoming business strip pales against decades of disinvestment, and the police department is a revolving door for officers who leave for better opportunities. Related: PublicSource made independent requests for policies held by 15 Mon Valley police departments. Some days, Collins wonders if there’s even an officer to cover the night shift. If not, it’s up to him to fill in — a one-man police force, patrolling the borough from midnight to well after sunrise. With the recent departure of four officers and about a dozen part-timers remaining, options are slim. On good nights, he’ll have at least two officers on patrol, but if everyone’s at a second job or already maxed out on shifts, he sends out a single officer who sticks to the better-lit thoroughfares. “Now patrol is almost ineffective,” he said. But today is quiet. It’s a hot afternoon at the end of summer — a fairly calm one for Braddock, but one of pain and turmoil in the Mon Valley region, with the epicenter of concern in nearby East Pittsburgh borough. 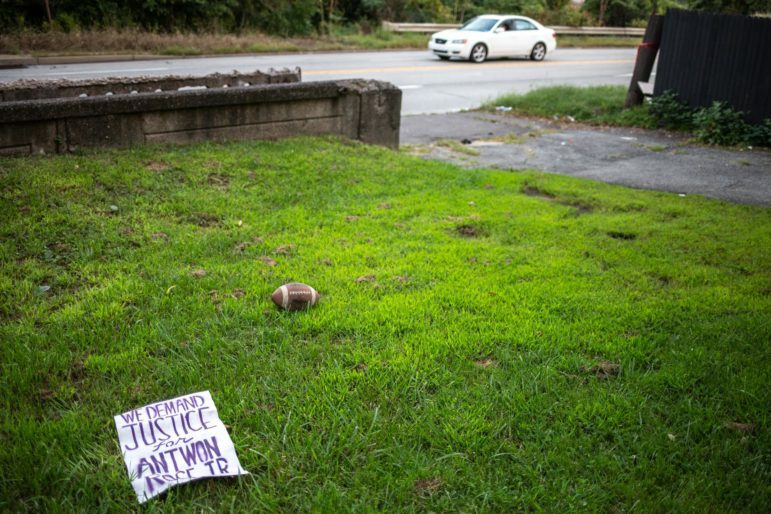 On June 19, a newly hired part-time officer fatally shot Antwon Rose II, a fleeing, unarmed 17 year old. Officer Michael Rosfeld is white, and the shooting of Rose, a black teenager, ignited weeks of protests. Prosecutors have charged Rosfeld with criminal homicide. His fate will be resolved in a court of law. But separately, the community is grappling with the fate of its police force, leaning on solutions like consolidation that have long-been discussed in the fragmented region, largely without success. Will crisis force change? In East Pittsburgh, officials hope so. But interviews with numerous chiefs and leaders in the region reveal a persistent status quo, where funding drastically differs across a patchwork of boroughs and some communities struggle to recruit officers to work breakneck hours for dismal pay. While pay impacts a department’s ability to attract and keep experienced officers, treatment of residents hinges not on pay but on training and accountability. Driving down Braddock’s main drag, Collins points out all the promise he sees in the borough. Brew Gentlemen brewery and taproom, Brassero Grill, a planned Crazy Mocha, a recently opened Civic Plaza park that covers part of the land left barren by UPMC’s closed hospital. At the other end of the street, there’s Superior Motors, the lauded upscale restaurant, with stacks from the U.S. Steel plant looming nearby. Collins sees Braddock as a vibrant, diverse community. Not a place of crime and violence that people seem to have stuck in their minds. More than two decades ago, Collins did a brief part-time stint at the Braddock police department while working full time for the now-disbanded Pittsburgh Housing Authority Police. He recalls bar after bar down the avenue and prostitution out in the open. When he returned in 2008 after the housing police disbanded, much of that activity was gone. Now he sees the area as more like a proto-Lawrenceville, growing toward even bigger development, hopefully with a boost to his budget. But the reality is that he’s still only a part-timer at the department, even as acting chief at 57 years old. He earns about $18 an hour. He said insurance isn’t included and he’s shopping for it. Rookie officers there start at $11.80, meaning pay is so low that officers routinely work other jobs. In part-time policing, the hustle to make a decent wage can stretch past the bounds of basic safety. Carl Bailey, head of Teamsters Local 205, which covers several municipal departments, including Braddock and Rankin, said he knows part-time officers in the region who’ve worked 32 to 40 hours straight — the equivalent of a full-time work week — without an hour off. Because shifts are split among jurisdictions, tracking the strain can be difficult. To embellish the department’s presence, they’ll park empty cars around Rankin. Collins described similar “crazy hours.” Maybe an officer works one eight-hour shift in Braddock, then a double shift elsewhere — putting them at 24 consecutive work hours — before showing back up in Braddock to try to work more. If he’s aware that an officer has been working long hours, Collins said he’ll send them home. “You’re no good to me. You’re no good to yourself. You’re no good to nobody out there in the street,” Collins said. But meager wages and tiring schedules are simply a reality. In Braddock, roughly a dozen part-time officers are expected to cover patrol shifts around the clock, ideally with more than a single officer on duty. Brown said Braddock is in the process of hiring three officers. She said the borough tries to offer competitive wages, though starting pay is among the lowest of 15 departments PublicSource surveyed in the area. Its pay trails East Pittsburgh, where officers start at $13 an hour. Officers in nearby Forest Hills start at $21 an hour. Chief Charles Williams said he hires part-timer officers with the goal of bringing them on full time, a contrast to departments struggling to keep officers on the payroll. He describes the borough as a small town with big city crime. He attributes much of the crime to busway proximity, which makes Rankin vulnerable to outside crime, and high volumes of calls from nearby public housing. Wooten works full time. His officers don’t; they get part-time work, starting at $9.50 an hour with no benefits. Sen. Jim Brewster, D-McKeesport, previously introduced legislation to fund a pay increase to $15 an hour. It stalled twice, though Brewster intends to reintroduce a bill in January. “$9.50 an hour to risk your life to protect the public is unacceptable,” said Brewster’s chief of staff Tim Joyce. When Wooten lacks staff for a two-officer shift, he said he tries to stagger start times so they overlap. To embellish the department’s presence, they’ll park empty cars around Rankin. By contrast, Swissvale Chief Ellis Watson has enough full-time staff to develop specialties. He has two detectives and two canine units. The department supplements its 15 full-time officers with up to 10 part-timers. Watson explained that a booming steel industry meant wealth was abundant through the 1960s. Each borough could afford services like police, fire and public works, but then the industry collapsed, and less-wealthy boroughs had little revenue for hefty bills. Pennsylvania’s municipal fragmentation is among the highest in the nation, in part because the state’s framework for local governments favors dense subdivisions of counties and makes mergers of existing municipalities difficult. Geographic barriers also play a role, not unlike the way Pittsburgh’s residential hills and bridges create isolated city neighborhoods. Watson started in Swissvale in 1998 as a part-time officer; he was working for an ambulance service while patrolling in Swissvale and then started a family. He commends smaller departments for the work they can still accomplish, and he sees part-timers that are excellent officers. But he acknowledges the struggle, even with Swissvale’s higher pay, which starts at $16.75. In Wooten’s view, resources are so scarce that he expects Rankin’s department to eventually merge with another. It’s certainly been discussed, and he views it as inevitable within two years. Collins said he thinks consolidation could be beneficial, but with important caveats. Who will be in charge? How will departments be merged fairly? Who will give up local power? In East Pittsburgh, residents and activists crowded a community center on Bessemer Avenue on July 17. 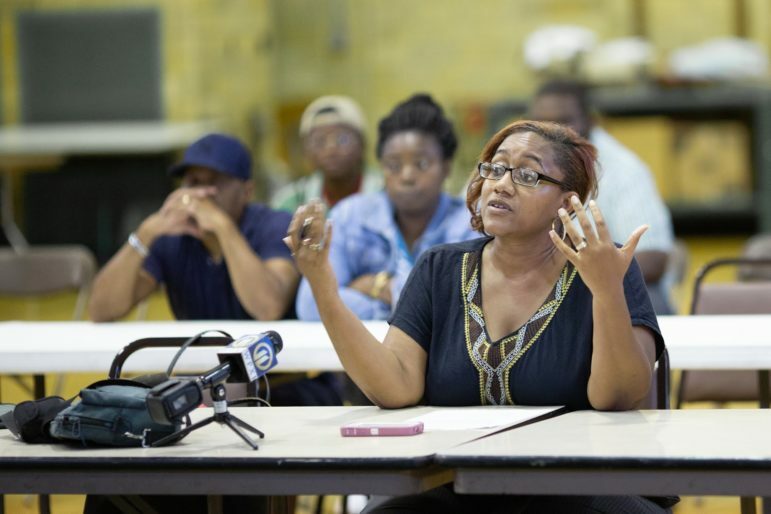 Police lined the gym floor, and the audience unleashed outrage at the borough council over the June shooting of Antwon Rose II. Mostly, leaders sat quietly, refusing to discuss the shooting itself. But Mayor Louis Payne said the borough was evaluating operations of its police department and briefly referenced an upcoming, confidential meeting that could expedite change in East Pittsburgh. A few days later, resident Ashley Cannon explained what she’d heard about the borough’s predicament. Leaders hoped that a department like Allegheny County police, a large agency that pays officers far better than borough police, could take over. But the county wanted roughly double what the borough could offer. “It’s kind of a distant, lofty goal,” said Cannon, 33, as she watched her boys play in the yard of the house she grew up in. As a kid, she said police officers knew your name. Now they cycle through on their way to better jobs. Her family heard the gunshots fired by Rosfeld from their backyard, and as a mother of four black sons, she’s struggling with how to help them build positive relationships with police. Only in tragedy are long-standing problems getting scrutiny, she said. At a September community meeting, Payne confirmed the steep price of county policing. East Pittsburgh could afford to pay a little more than $300,000. The county countered with a figure that could be more than twice that, Payne said, also explaining that the county faced staffing limitations for local patrols. The most recent figure from the county was nearly $800,000, according to Payne. East Pittsburgh officials hope other municipalities can join in discussions with the county to help cover costs. At the September community meeting, Payne said the borough was negotiating with an unnamed municipality to provide policing. It’s too sensitive, he said, to say much more than that. 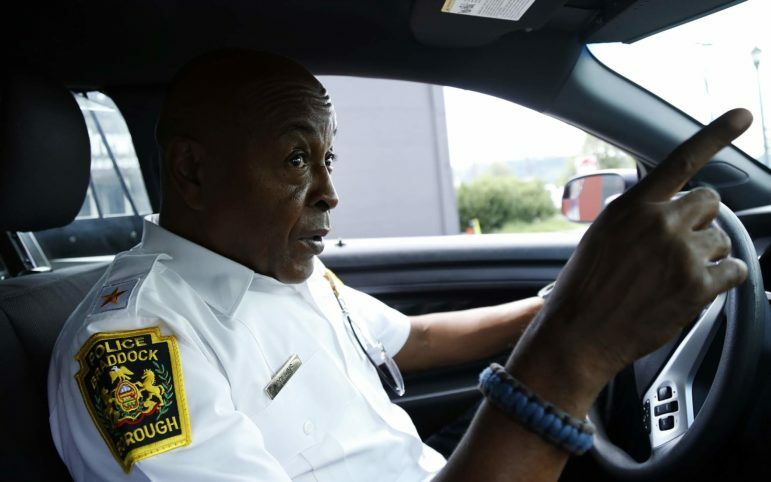 Payne, whose daughter is East Pittsburgh’s chief, discussed the possibility of several departments merging, similar to the joint force created between three North Hills communities in 1969. There is some precedent in the Mon Valley. Forest Hills officers patrol the small borough of Chalfant, and Allegheny County police have patrolled Wilmerding since 2017. But Payne said their closest neighbors share East Pittsburgh’s financial strains. “When you merge, everybody’s going to have the same problems as before,” he told residents. Other communities with more resources considered merging but couldn't agree on details, Payne explained. Payne has been mayor since 1998 and said he has sworn in more than 80 officers in that time period. The borough’s department currently has six part-time officers, and that count has only seen minor fluctuations during Payne’s tenure. Largely, that’s been the history of consolidation talk in the area. Discussions happen, but when it comes to details about cost and control, they halt. Someone has to give up power and, if the deal doesn’t benefit all communities, councils won’t sign off. When Watson joined the Swissvale police in the late 1990s, he said seasoned officers were already describing these kinds of discussions as old news. “They would tell us, they’ve been talking about consolidation since ’72,” he said. A decade ago, Forest Hills and Wilkins conducted a joint study to talk about the possibility of merging police forces, but that stopped at the information-gathering stage, according to Mike Belmonte, then a Forest Hills councilman. In 2010, several Mon Valley municipalities — Chalfant, Churchill, Edgewood, Forest Hills and Wilkins — discussed the possibility of forming a joint police force, he said. But discussions stalled early. Braddock Hills and Swissvale spent several months exploring the idea of a merger, said Chuck Arthrell, Braddock Hills’ council president. The talks stalled. Arthrell said the proposed arrangement seemed like it would erode benefits for his borough. Mark Vogel, then mayor of Braddock Hills, viewed joining forces as win-win. North Braddock had also approached Braddock Hills about having them patrol their borough, though Arthrell said his borough couldn’t save them any money by doing so. North Braddock councilman Chris Roland said his borough also had discussions with Swissvale and more recently sent a letter of interest to North Versailles. 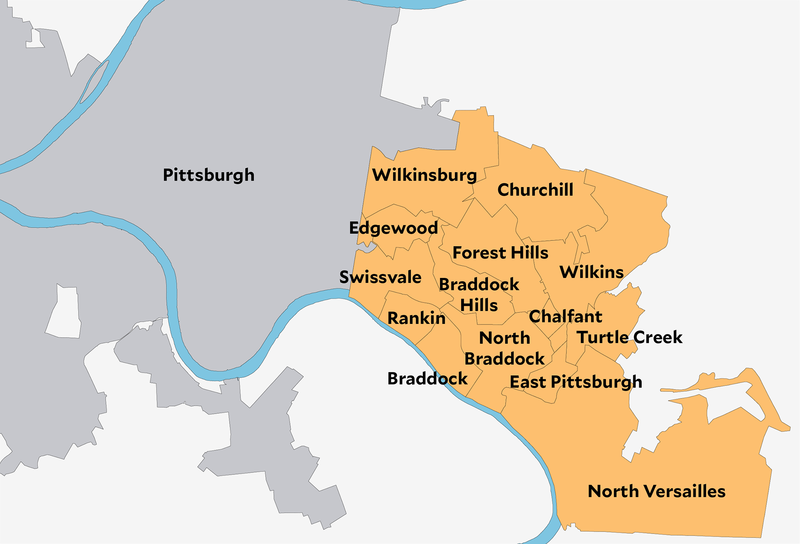 After recent talks with Allegheny County fizzled, the borough reportedly turned again to Braddock Hills to discuss policing. Pennsylvania State Police could also be asked to fill in, meaning local governments would lose oversight. The service is free, though Gov. Tom Wolf proposed charging municipalities $25 per resident. State police currently cover Glenfield and Haysville boroughs along the Ohio River. Cpl. Adam Reed, director of the state police communications office, said the agency evaluates call volume and location to other patrol zones when allocating resources. Troopers are encouraged to stay in their patrol zones to patrol proactively and reduce response times, Reed said. Roland favors combining nearby departments, which could include East Pittsburgh, Braddock, Rankin and North Braddock. Yes, many of them struggle for resources, but they already respond to calls in their neighboring boroughs when needed and tend to employ the same officers. Paying them a full-time wage could eliminate the scenario he described of an officer being hired on a Thursday and leaving by Monday with a better job. Allegheny County District Attorney Stephen Zappala Jr. sees a problem with the fragmented, under-resourced departments, but he doesn’t necessarily see merging as the fix. To help fix that, he is creating a warrant office in McKeesport, which will be a centralized venue to allow officers to access more sophisticated training and to share information from surveillance cameras and databases like those tracking pawn shop sales. Zappala is also requiring boroughs to seek approval when charging more than three dozen felonies, meaning his office would be able to aid in investigations. Further, he expects departments to adhere to minimum sample policies endorsed by his office, the result of him learning that East Pittsburgh lacked crucial policies before the Rose shooting. The sample policies include direction on use of force, search and seizure and pursuit of suspects. For activist Fawn Walker-Montgomery, the focus needs to stay on reforming police culture not just addressing funding and inefficiency. Consolidation could make financial sense, Walker-Montgomery said, but it’s only beneficial if police are accountable to residents. As co-founder of Take Action Mon Valley, she believes police protect their own interests and give residents too little transparency. “Until that whole culture changes, then it doesn’t matter to me,” Walker-Montgomery said. In Braddock, Collins says community policing is paramount. Talk to residents. Make a joke. Wave. Through a variety of policing roles over 26 years, he’s come to see the value of keeping people safe by talking with them and finding out what they need. That takes time, and it takes officers who believe in that approach. It’s frustrating, he said, when recruits start building rapport and then suddenly move on. Sure, he takes heart that they’ll take good training with them. But Braddock loses out. Wooten feels the same loss. He, too, was a housing authority officer, calling it the most dangerous work he ever had. But the pay was good. 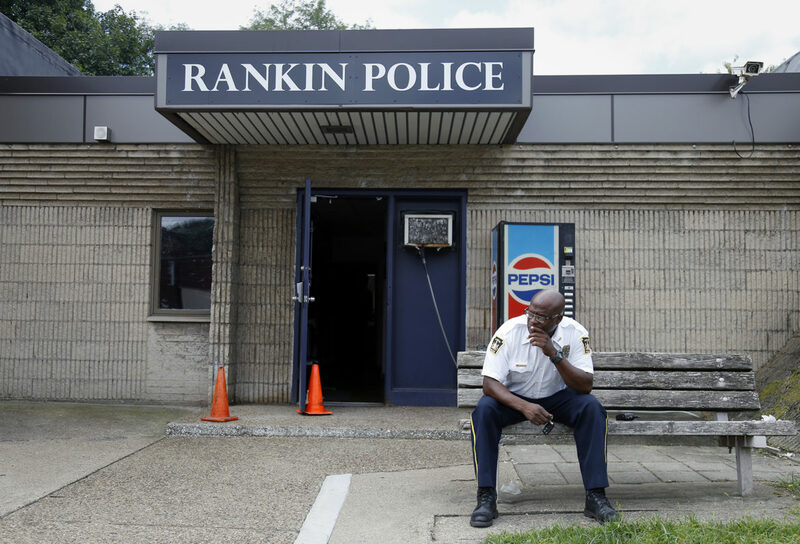 He stressed the need for community policing and, in Rankin, much of that training fell to Sgt. Clarence Gunter. For the past eight years, Gunter typically worked 64-hour weeks not including court appearances or overtime. Another housing authority veteran, Gunter came to Braddock after the force disbanded a decade ago. After two years, he started splitting his time between departments — 32 hours in Braddock a week, 32 hours in Rankin. In August, he explained how grueling part-time work can be. Little time for family, no benefits and work days so full that afterward there’s only time to eat dinner and pass out. As a supervisor and training instructor, Gunter explained how important it is for police to know residents and show up to scenes as a friendly face. A tough decision loomed at the end of this tumultuous summer for policing in the Mon Valley. Gunter had just been hired to help start the school police department in West Mifflin. And that’s the dream: normal hours, steady pay, benefits. Gunter said he was considering working a few hours in Rankin and Braddock. But he recently told Wooten he was moving on. “It kills us,” Wooten lamented. Not just the loss of a good officer, but also the loss of his training skills. He wishes him well, knowing Gunter finally attained the steady work part-timers seek. Jeffrey Benzing is PublicSource's public safety reporter. He can be reached at jeff@publicsource.org, 412-515-0062 or on Twitter @jabenzing. He can be reached securely at PGP: bit.ly/2Au8Ca9. Freelancer Nichole Faina contributed to this report. This story was fact-checked by Oliver Morrison. A public hearing was held at the Pittsburgh Public Schools Building after the district’s Chief of School Safety requested to arm officers earlier this month. The City of Pittsburgh wants a federal judge to throw out a whistleblower lawsuit filed by a former police officer who alleges he faced retaliation from a high-ranking official after uncovering what he saw as “waste and wrongdoing” in the police bureau. Some members of city council struggle to recall B-Three Solutions or what the company has done for the city. B-Three has been commissioned to build the police bureau’s flagship data system and several related projects along with programs for the Department of Finance and the Department of Permits, Licenses and Inspections. The city has paid B-Three about $4.3 million since late 2009.